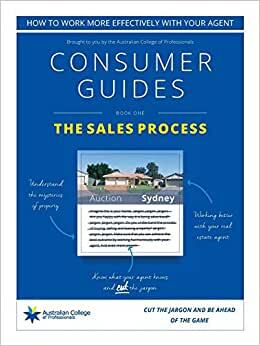 The core content of this series of information e-books has been written by Rosy Sullivan, the College Principal of the Australian College of Professionals. Rosy and her husband John established the College in 2003 and have focused on the provision of high-quality qualification-based training for the property, finance, business and management sectors since that time. Rosy is a highly experienced education professional, with qualification in education, psychology and adult training. Her practical experience in the development and provision of adult education commenced in 1987 and has continued throughout various roles in both the public and private sectors. Rosy has been active in the property industry since 1999, when she worked with a franchise company in the development of an innovative system of service provision and was also involved in the day-to-day training of employees in the listing, selling and management of process, which drives her passion for consumers and agents alike to be well-versed in the legislation and the practical aspects of property transactions. Whether you are contacting Rosy for career advice, checking on the legislative impact of your daily activities, or being chased by Rosy to support one her many charity functions, you will always find someone who is willing to listen to your issues and support you to make the right decision. Rosy actively participates in a number of charity-based boards of management, where she shares her skills and knowledge for the advancement of community-based projects in the private welfare sector - always underpinned by her love of education and the positive impact that it can have on people's lives.